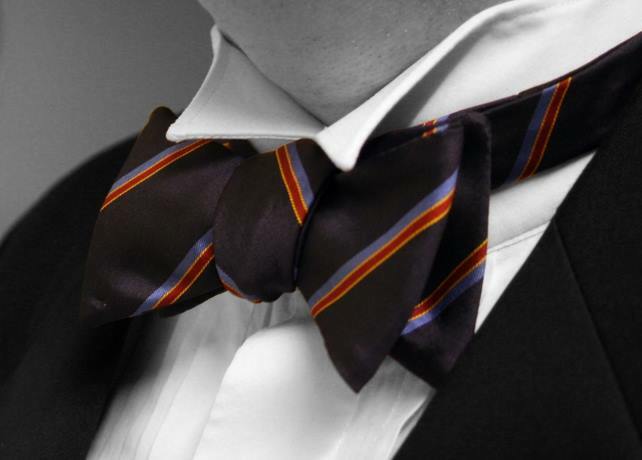 National Bow Tie Day is nearly here…. 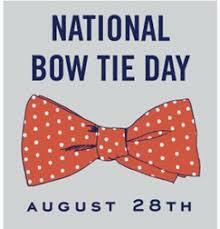 23 Aug National Bow Tie Day is nearly here…. 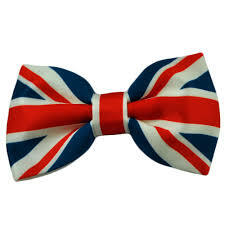 Yes its nearly here, National Bow Tie Day, and it’s your chance to get involved…..
What’s this, ‘I don’t know how to tie one,’ I hear you cry? Yikes, you are not alone, so follow this simple guide, and heh presto. You will impressing friends and partners in no time! Loop the long end through the place held by your finger. Did you know the bow tie originated among the Croatian mercenaries during the Thirty Year war of the 17th century: where the Croat mercenaries used a scarf around the neck to hold the opening of their shirts together. These were then rapidly adopted by the French upper class, who were known as leaders in fashion at the time, and became quite the fashionable neck attire. We now see them in every colour of the rainbow and they can brighten any outfit. 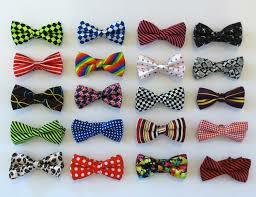 We love bowties!